Military Arms Channel (MAC) visited the Beretta USA facility in 2015. To be honest, I really didn’t expect anything surprising because three years had passed and Beretta really hasn’t done anything of interest to me for years and years. Well, that changed in this video at the 10:12 mark but let’s not jump ahead. MAC got a good tour with tons of photos of the M9 service pistol, notably the M9A3 with its Picatinny rail and other updates. You get a chance to see some automation but also considerable handwork. When I watched the video on Beretta’s Gordonne, Val Trompia,Italy, facility, there seemed to be much more automation. Now this is where I need to point out that my jaw dropped starting at about the 10:12 mark. If you have been around weapons in recent years, you are probably very used to seeing the Picatinny rails on weapons for mounting accessories. Historically, firms would have proprietary means for adding accessories and this would limit your ability to find devices that could be mounted and your ability to move them from weapon to weapon. MIL-STD-1913 was published by the Picatinny Arsenal in 1995 and finally created a standardized solution. This enabled all the different light, lasers, optics, mounting points and more to have a standard way to connect to the weapon. No more different battery types or some full and some not. You can attach to the rail and the device taps in via exposed connectors for power and data services. Beyond the battery, you could, for example, have a laser designator and range finder providing data to an optic and uplink all modularly. Note the gold colored contacts nestled inside the top of the rail. Modularr CR123A modular battery pack. 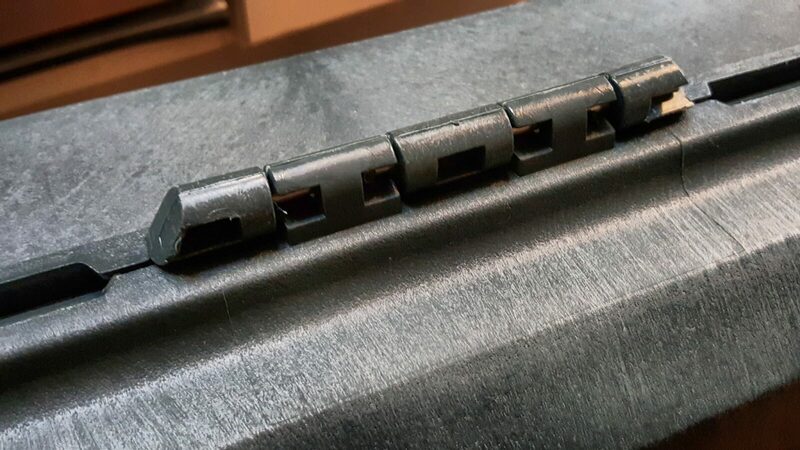 Good photo of contacts on the side rail. Another view of the top rail. I like the idea of a hard wired connection vs wireless that can be compromised or outright blocked. As more and more electronics show up on small arms, engineers will need to figure out how to make them both reliable, resistant to electromagnetic pulses (EMPs) and secure and that last part I am referring to information security. Bottom line, kudo to Beretta. They thought of this over three years ago!! I think we are seeing a future direction for the industry here if it can leap frog from Beretta and get some other big players behind it notably Magpul and other DoD suppliers. 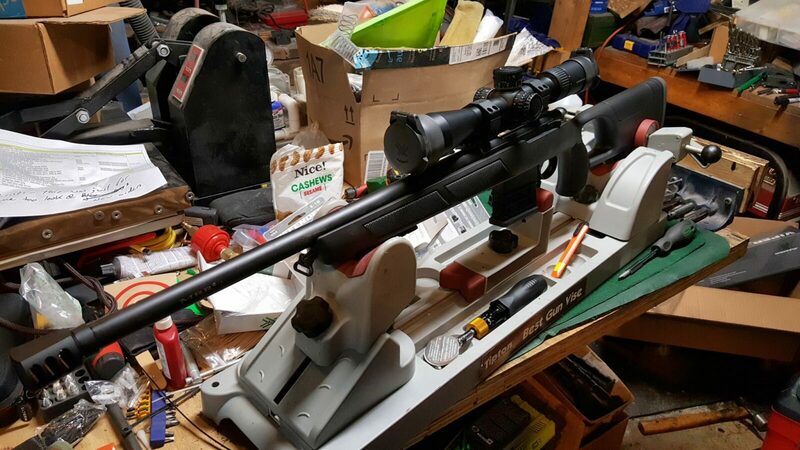 In my last post, I discussed mounting the Vortex scope and tailoring a Plano hard case for my .308 Sabatti Urban Sniper. 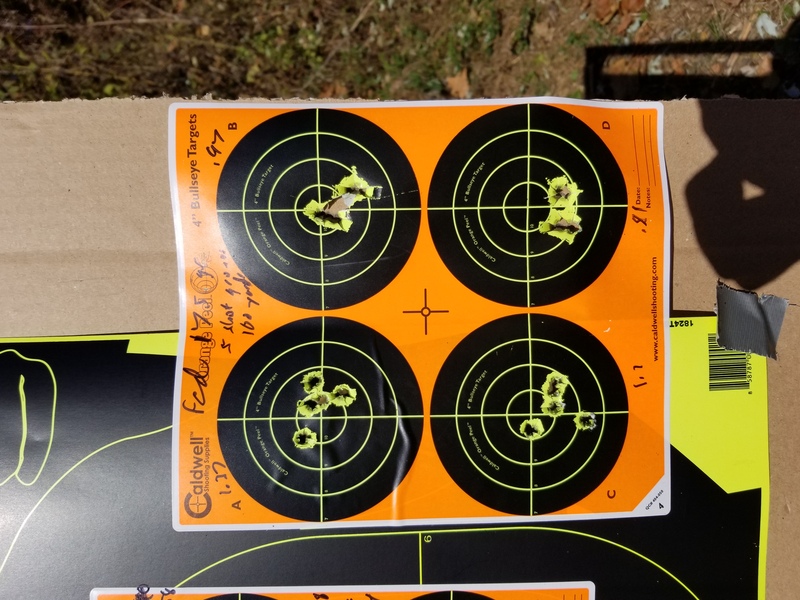 This last post in the series is about my trip to the range with it. I went to the range with high hopes – by all accounts it should sub minute of angle, meaning under one inch at a hundred yards. In short, it delivered. I’d already shot a few rounds through the rifle at a quarry but couldn’t really shoot for accuracy. We put about 10 rounds through it. 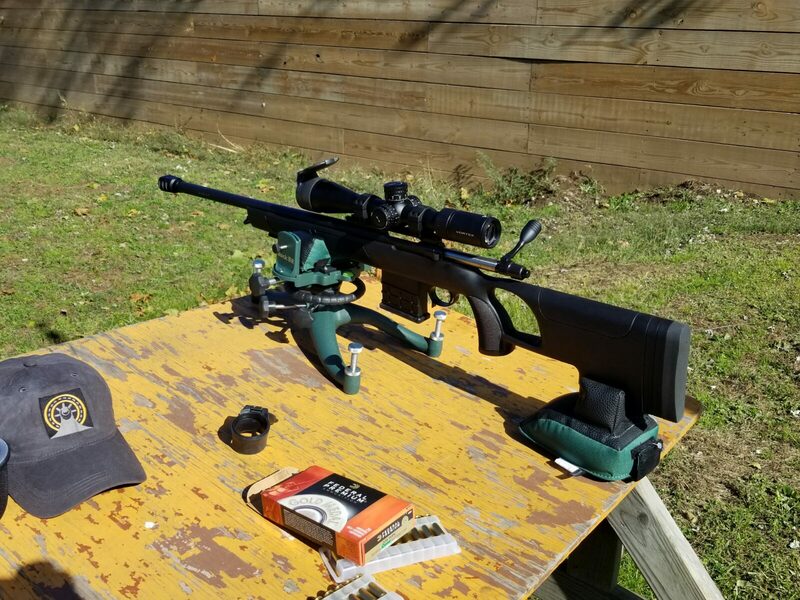 To shoot it from a bench, I took the Sabatti to the Berrien County Sportsman’s Club’s 100 yard rifle range and set up. 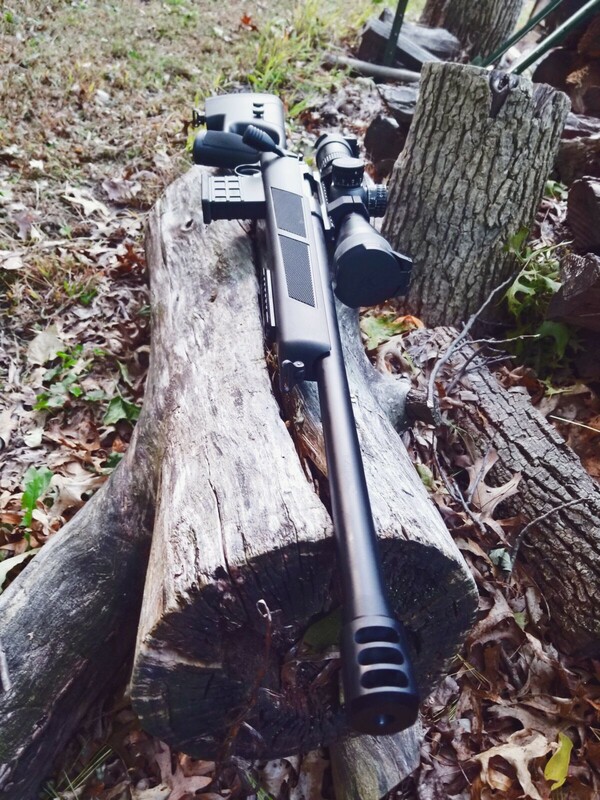 I’d already cleaned it the night before to get ready and it was a fine Michigan fall day to do some shooting. The rifle is being held by a Caldwell’s “The Rock” rest. I really like it. 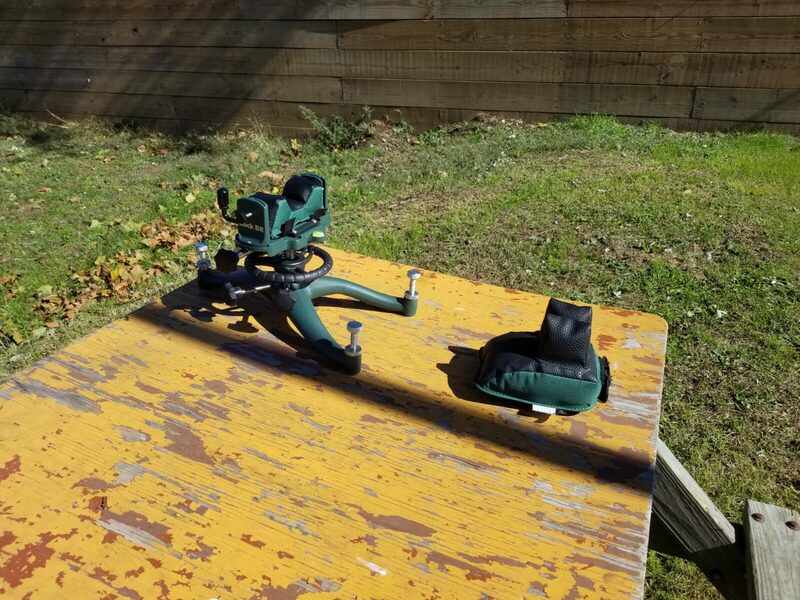 First off it is way heavier than my old Caldwell rest and second it is adjusts very smoothly as you are trying to dial the rifle in. The buttstock is held by Caldwell’s Universal Rear Shooting Bag and I bought it filled. They have on that is unfilled if you prefer to use your own material and also determine how full to make it. 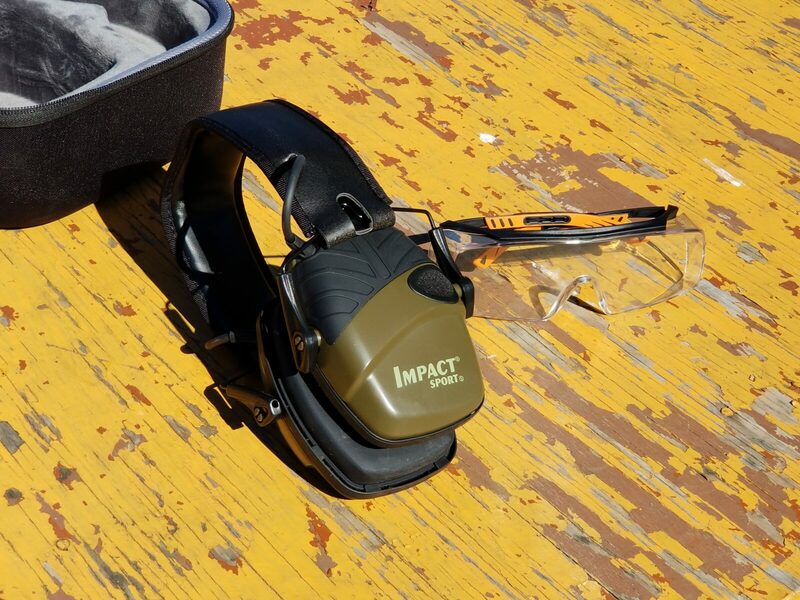 For hearing protection, I switched to Honeywell’s Howard Leight electronic earmuffs and absolutely love them. The reason is simple, my hearing is horrible – I sure wish I knew to protect my hearing when I was younger and am paying for it now. When I wear traditional earmuffs, I can’t hear anyone talk. With these, you can turn them on, set whatever amplification you want and they automatically turn off when you shoot. This means I can hear folks talk around me without needing to pull off the earmuffs. I have used these extensively this summer with 9mm, .40, 10mm, 5.56, .308 and .338 Lapua Magnum and use them exclusively now. I bought a carry case to hold them and my shooting glasses that has worked out really well. Note, because I wear prescription glasses, I wear No Cry brand “Over spec” safety glasses that fit over my glasses. They fit well and I store them in the above case also. 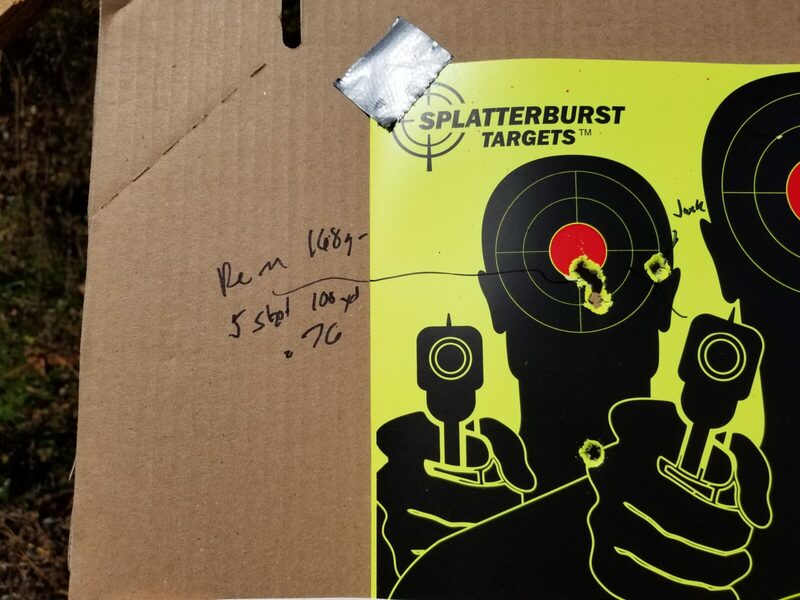 For targets, I started with a big 18×24 Splatterburst target as I dialed the scope in better and then I broke out some smaller Orange Peel targets with four circles per 8.5×11 page. A problem popped up at this point that I did not expect, a slight wind had picked up and was causing the target holder to sway back and forth a bit. I’m sure it affected results a bit but it’s hard to say how much – I think the results are pretty darned good. For each type of ammo, I would let the rifle cool down to ambient temperature and then fire two five round groups, let it cool and then the final two groups. 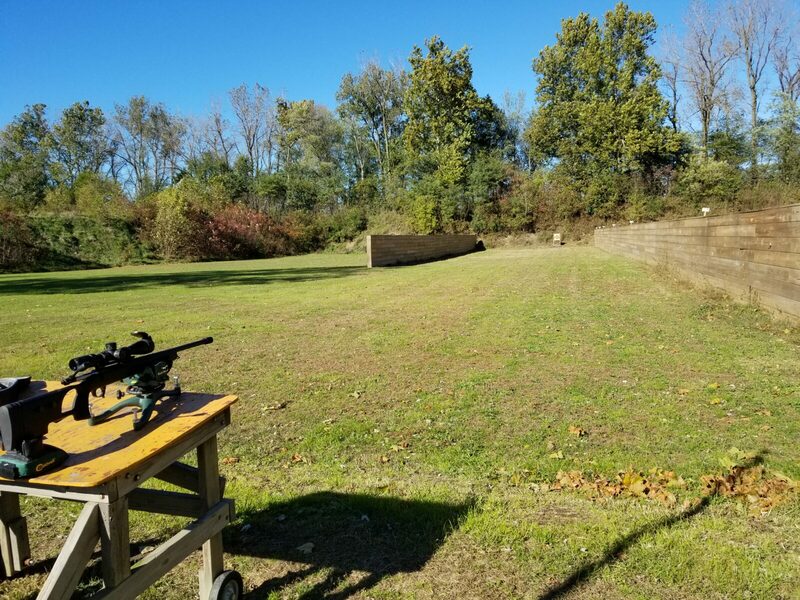 Yes, I intentionally let it heat up and I did not clean the barrel at all during this range session – it was cleaned prior to the session. This is the only one where I only fired three groups. 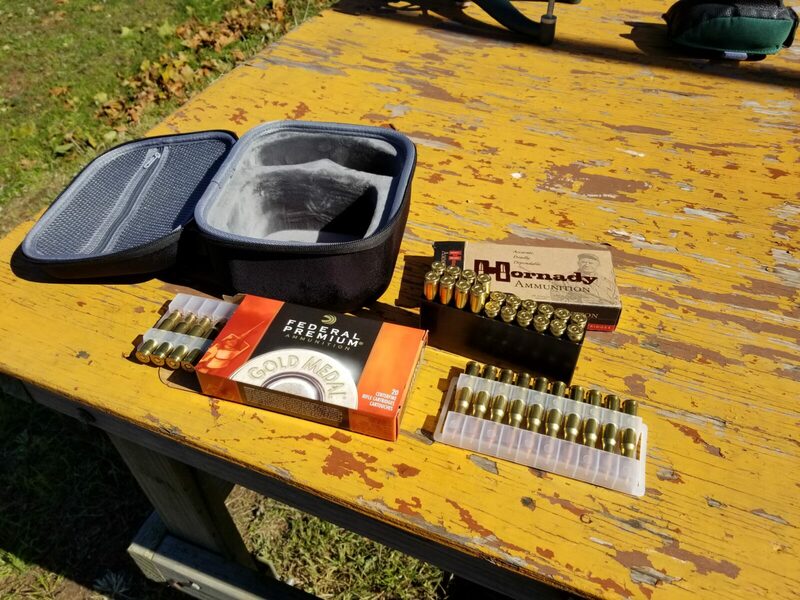 I ran out of Hornady ammo while sighting in, switched to Federal and then set up the targets once the rifle was ready to go. The three groups are: 1″, 0.54″ and 0.84″. 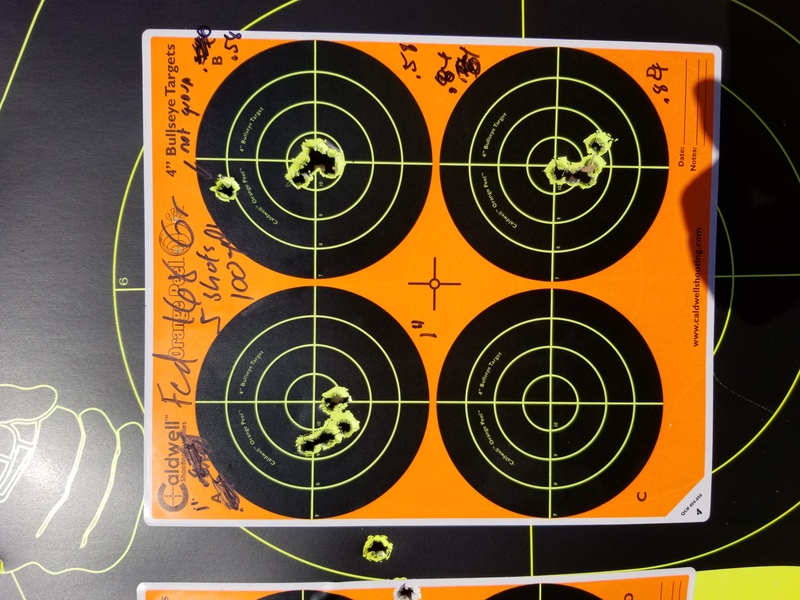 The odd bullet hole at the top right was from when I was setting up – it was not part of the five shot group. The average here is 0.793″ — that’s pretty good. Here are four groups: 1.37″, 0.97″, 1.1″ an 0.81″. The average here is 1.06″. 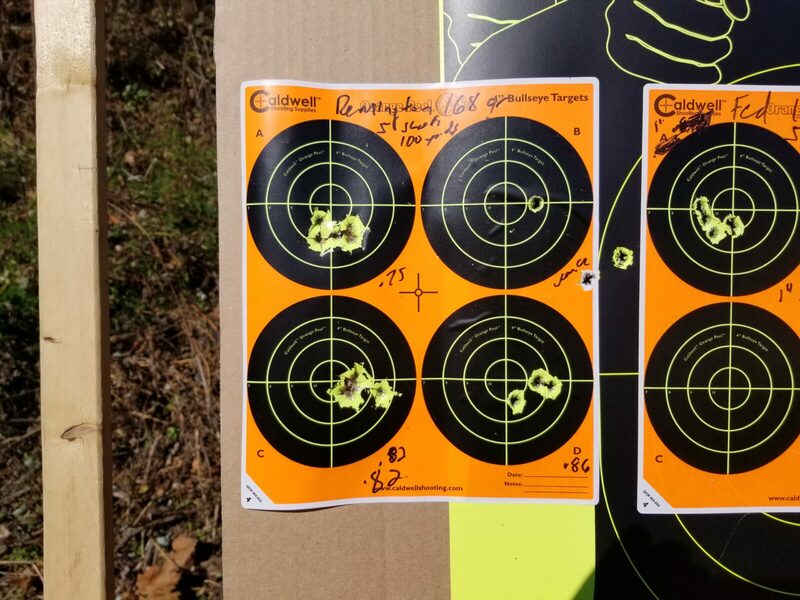 Both the A and C targets look like I had a flier as part of the group. In other words, I bet it was me making a mistake vs. the rifle or the ammo. 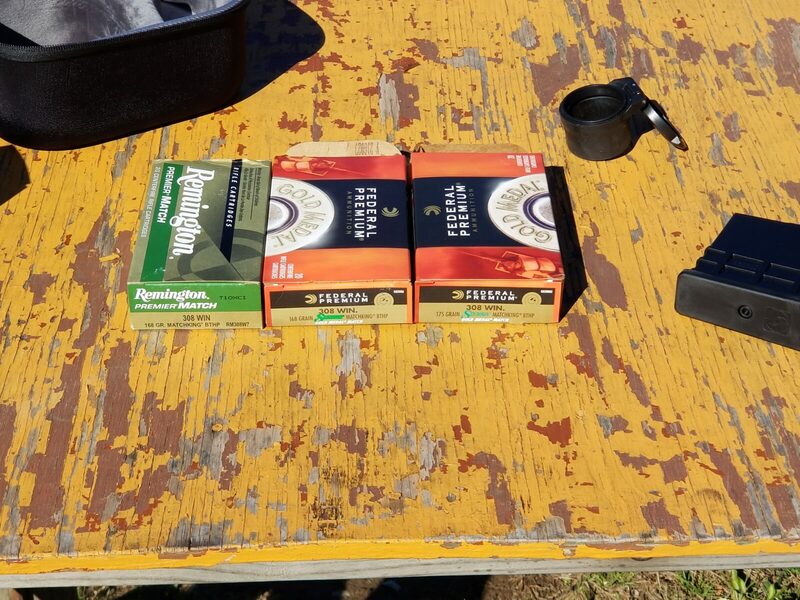 The Remington ammo was shot on two targets because I had an oddball hole from when I was setting up. — The groups are: 0.75″, 0.82″, 0.82″ and 0.76″. The average was 0.79″ — the winner for smallest group. I asked Justin Todd, with Italian Firearms Groups (IFG) what he heard about accuracy. 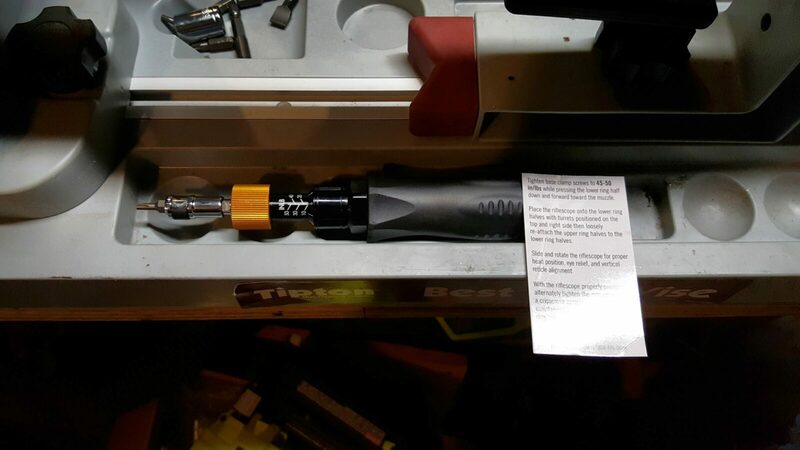 He said my results are very typical and he knows handloaders who are getting 0.15-0.25″ groups. Tell you what, I really liked the rifle. It had mild recoil due to the effective brake. The trigger was really nice at 3-1/8″ pounds and the bolt cycles easily. I did not have any problems with reliability and the accuracy sure is there. 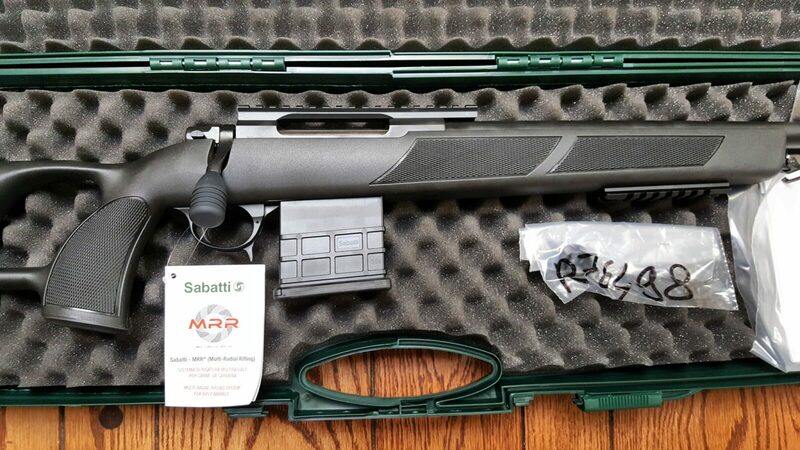 If you are looking for a solid tactical rifle to engage targets within 400 meters, I really think you ought to give the Sabatti Urban Sniper a serious look and consider pairing it with a good scope like I did with the Vortex PST. 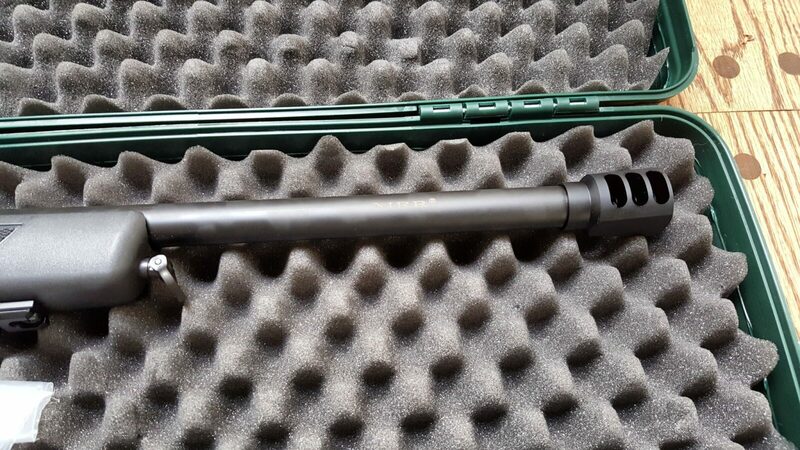 Vortex Viper 2.5-10X44 EBR-1 (PST-210S1-A) Submit Offers! Free Shipping! In my previous post, I gave you my out of the box impressions of the Sabatti .308 Urban Sniper. 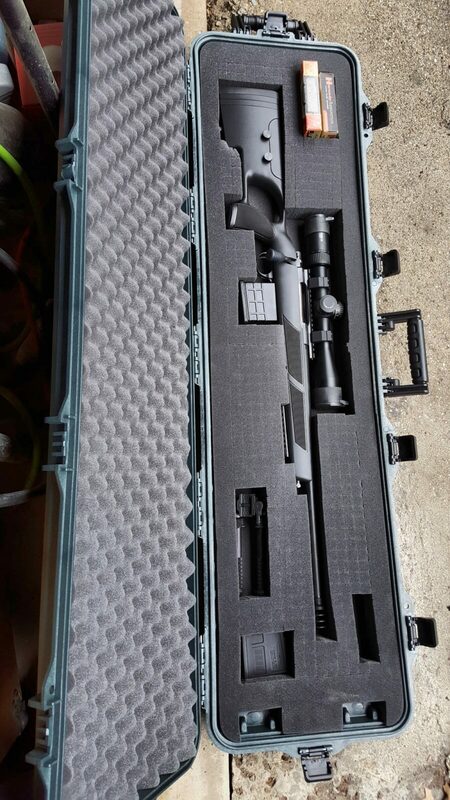 In this post, I’ll give you an overview of the scope I went with, mounting it and the Plano hardcase. I contacted Travis Boran, a fellow I have grown to respect over the years at Vortex Optics. I told him about my plans and asked what scope he would recommend for a precision .308 rifle that was to be used within 400 meters. My first thought was to get another PST scope and Travis recommended that I go with the new 3-15×44 Front Focal Plane (FFP) second generation scope. PST scopes are built like tanks so that sounded good to me. Travis always asks if I want a Minute of Angle (MOA) or Mil-Radian (MRAD) reticle. I understand the MRAD system and stuck with that. They have a really cool reticle for the scope known as the EBR-2C. What I like is that it looks like a Christmas tree and as you get near the bottom it has marks for the offset right there. Vortex provides an excellent guide on how to use the EMR-2C reticle. 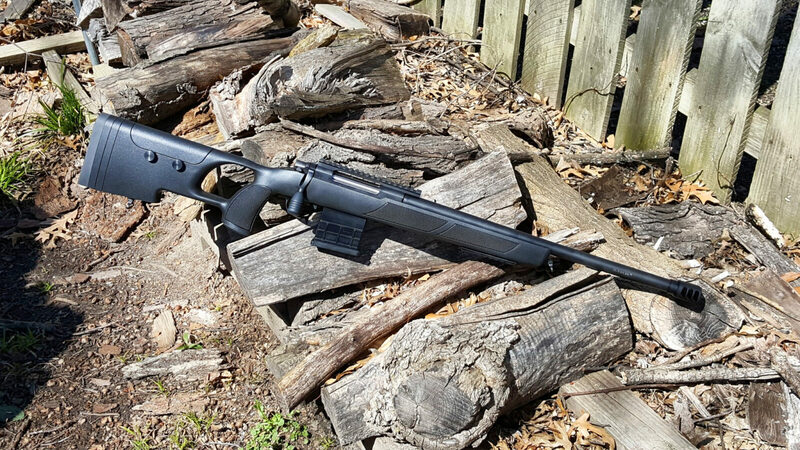 Vortex PST-3155 Viper PST Gen II FFP 3-15x44mm EBR-2C MOA + Free HAT! They are machined as a pair and are held to a 0.0005″ tolerance. No need to do hand lapping to get a precise fit. They can be torqued down to spec. The base clamp screws are 45-50 in/lbs and the ring screws are at 15-18 in/lbs. The reason so many cheap rings lack torque specs is because they simply threaded soft aluminum and they will strip out. They are beautifully finished with a Type 3 Hardcoat. You have so see and use a pair to get an idea how slick these are. I switched to Vortex precision rings in 2017 and have never regretted it. I also always use their offset mounts on my AR-optics too. I placed the Urban Sniper in my Tipton “Best Gun Vise”. Yeah, the name makes me choke a bit but I actually really like it. 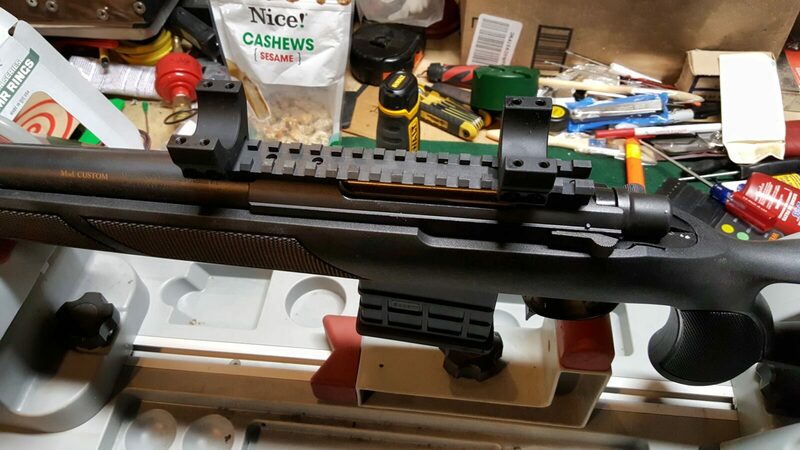 It’s a work stand with an adjustable clamp for the buttstock that lets you adjust the hold on the rifle until the top rail is flat/horizontal per a level. This is where a photo would really be nice but the two I took turned out to be out of focus. Let me try and explain what I do. 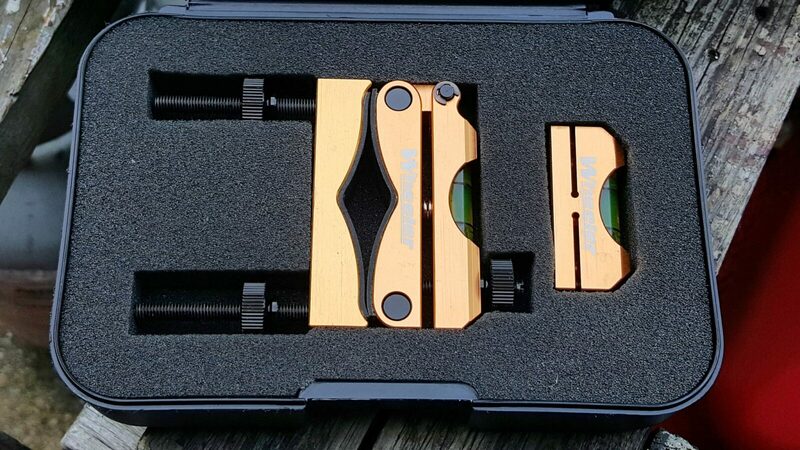 I use a Wheeler Scope Leveling System. It is very simple and contains two parts. The first is a simple flat bottomed level that you put on the base while you adjust the vise until the rifle is level. Next, to ensure it stays level, you attach the barrel mounted level and true it up with the other level. At this point, both levels should be saying the same thing – that the rifle is level. You then remove the little level from the base and install the rings. To install the rings, I use a Vortex torque driver. I actually wrote a post up on his model because I am so impressed. They are a quality calibrated instrument that performs excellently. I use the driver to tighten the base down to 45 in/lbs first. 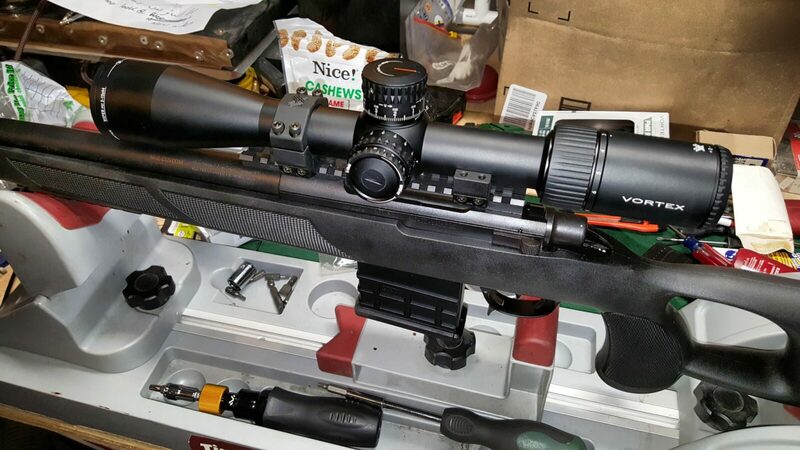 I then set the scope on the rings and install the top parts of the rings /the caps very lightly so I can still move the scope with just a little effort. I then make sure I have the eye relief right when I bring the rifle up to my shoulder. I then make sure the rifle is level again based on the Wheeler level on the barrel. I then put the small level from Wheeler on the top scope elevation knob and adjust the scope left or right until the scope level and the barrel level match. Once it is good to go, I torque the ring screws down to 15 in/lbs. Call me paranoid but I target the lower end of the spec on all of the screws – base clamp and caps. I’ve not had a set shoot loose yet doing this and I’ve done this on 5.56, .308 and .338LM rifles. 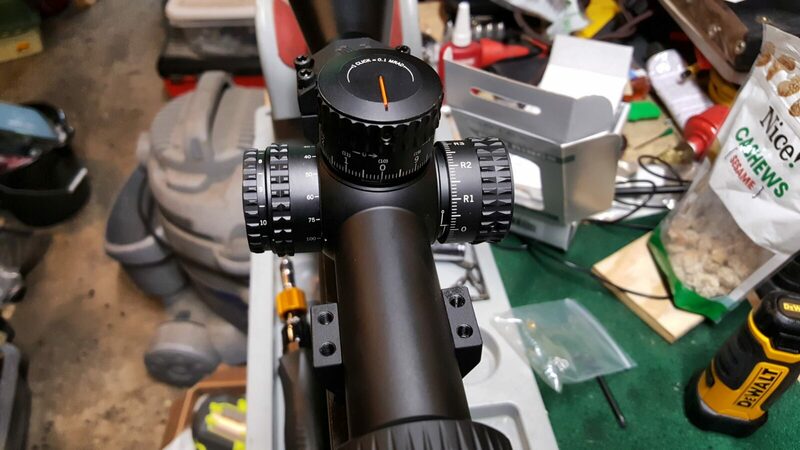 In this next photo you can see the scope installed with the Vortex Defender lens caps. You can also see that my shop really needs a good cleaning as I have a ton of junk on my bench. 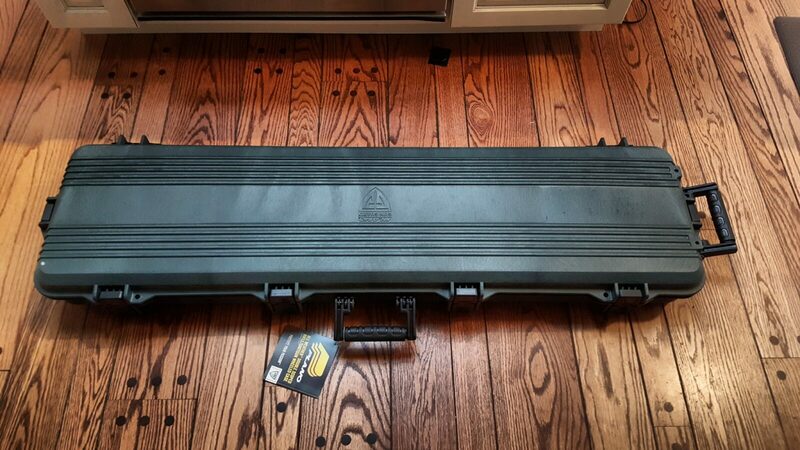 Egg crate foam requires no fitting but I really do not trust it to protect a heavy precision rifle. 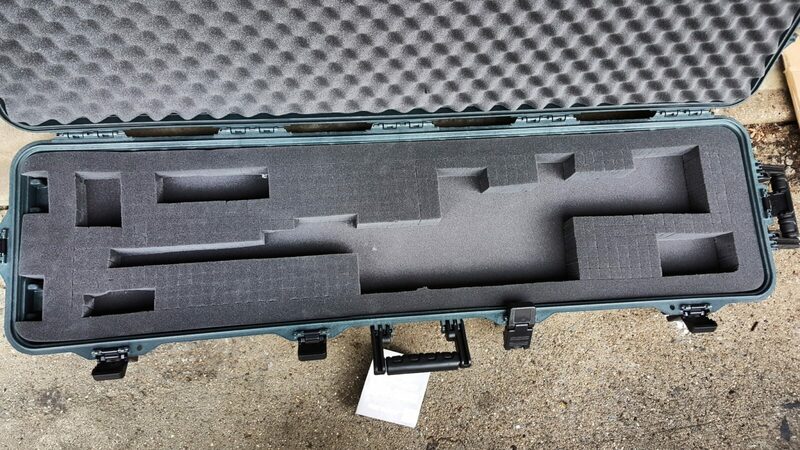 I can’t tell you how many times over the years I have dropped a case with the egg crate style foam and then found the rifle and other accessories had all shifted/slammed down in the direction of the drop. 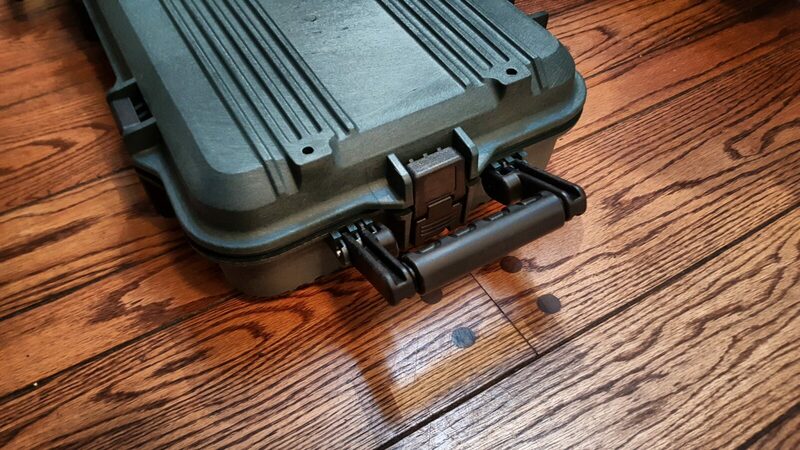 Thus, I don’t use it any longer instead opting for custom fitted hard cases. I go back and forth on two styles – foam that requires cutting or pluckable. To be honest, I think the foam that requires cutting (or melting if you have a hot wire system which I do) is the best. 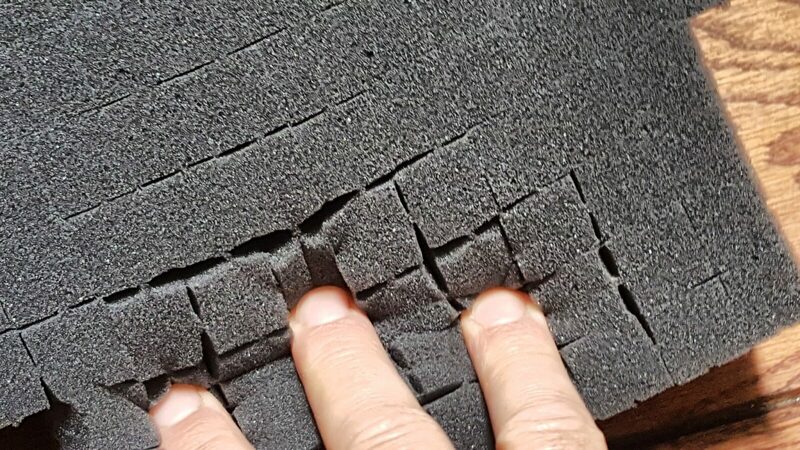 Pluckable foam is pre-scored to be pulled, or plucked, out to fit the contents of the case. The problem with it is that even if you use a spray adhesive to secure it to the bottom of the case, it wears at the top as the weapon and accessories hit the edges when they are placed in the case. You can’t make it as tight fitting as a result. On the plus side, a pluckable case is easy and fast to do. With that said, I’ve been using Plano cases for the last few years. 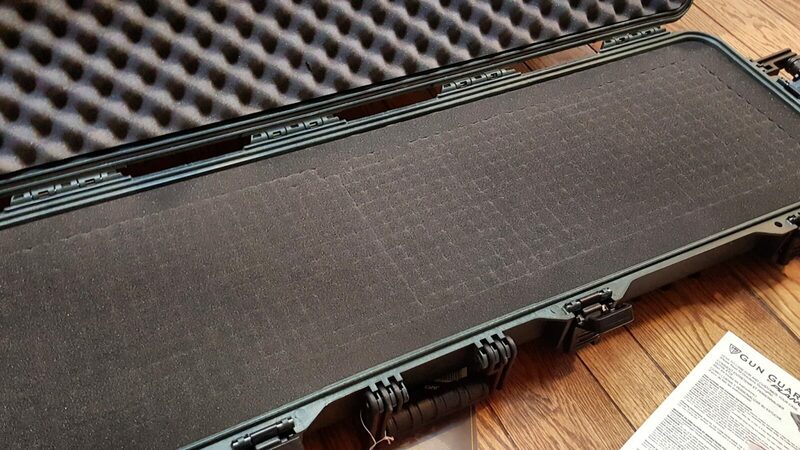 They are less expensive than a Pelican case and, if you want my honest opinion, Plano has really upped their game in terms of turning out some very rugged cases. 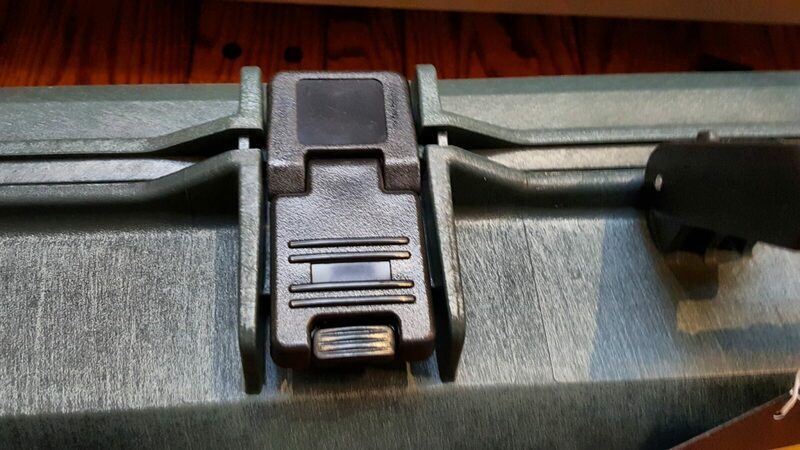 I purchased a Plano All Weather model 108180 in green. The green was partly to pay homage to the original green hardcase the rifle came in from Sabatti and also to help me visually spot it quickly. 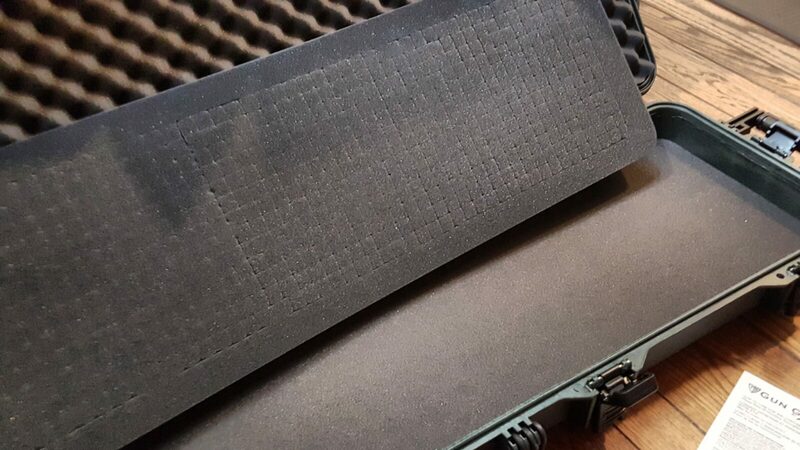 When you have a bunch of black cases, life can get interesting. The All Weather series have pluckable foam, a gasket to help keep out water, and wheels on one end for pulling it. These are solid cases. My intent in explaining the shortcomings of pluckable foam was for you to know the pro and the con. 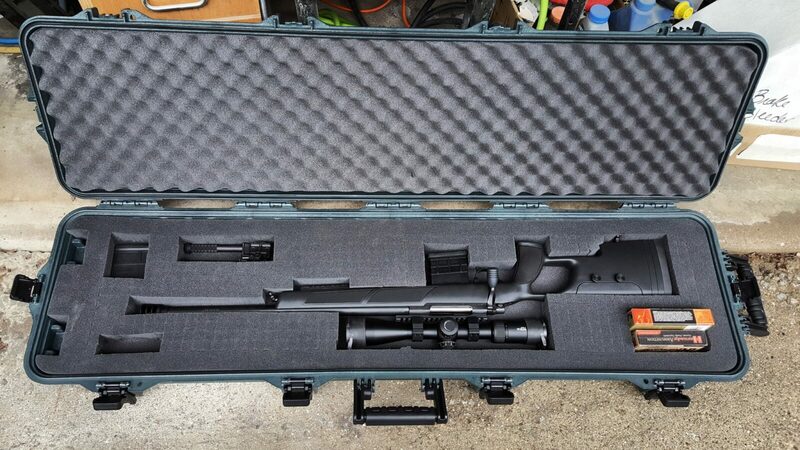 You’ll note that I did buy this case for this rifle — end of the day, it is a quick way to build a pretty good case to protect your rifle and scope. 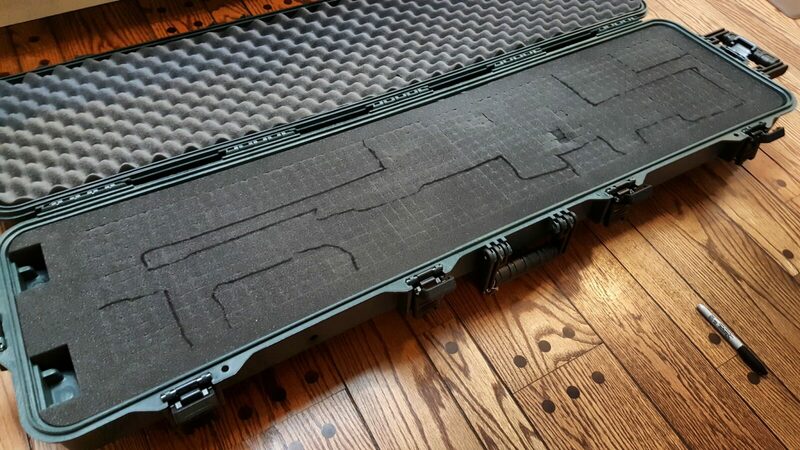 Okay, most pluckable foam cases have three layers – an egg crate top, a pluckable middle and a foam bottom. 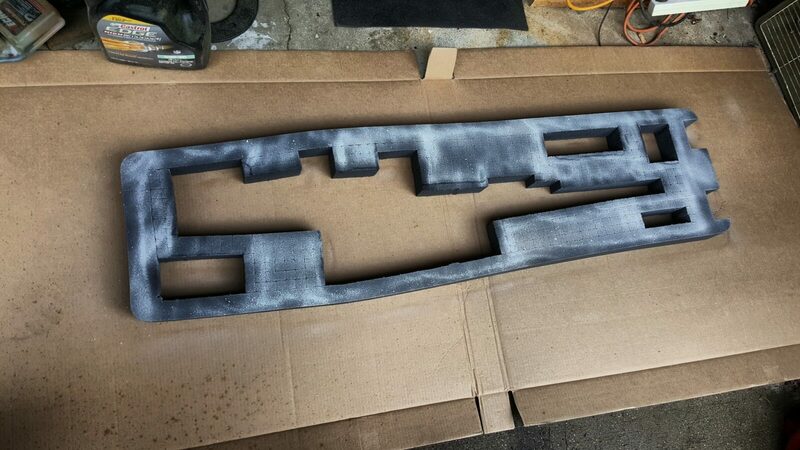 We will be working on the middle piece and do note you can order replacement foam should you ever need to. I lay things out that I want in the case in a mirror image. I really want the scope to be located at the top by the carry handle vs. down by the ground. The rationale is that the scope will take less stress this was as we usually set a case down on the hinged “bottom” and not on the top with the handle. I also like to have a spare magazine, the bipod, ammo and space for any special tools, batteries for the scope, etc. My first aim in the layout is to try and keep the rifle as far away from the sides as I can. As you can see in this case, the fit is pretty close and I don’t have as much spare room as I would like at the top of the scope but I still think it will be protected. Again, this is a mirror layout so that I can pluck out the foam and not worry about the permanent marker lines being left behind. I needed to remember the wheel cutouts were there also. So once you have your lines drawn, you start pulling the scored little rectangular sections out. I use a small razor blade box cutter on any that don’t want to pull apart the way I want them to. I always draw my lines and then pluck tight. You can always remove more if you need to. You need to test your fit several times to make sure you have it just right. I spray a heavy coat of adhesive on the insert and the parts of the lower piece that will not be exposed. 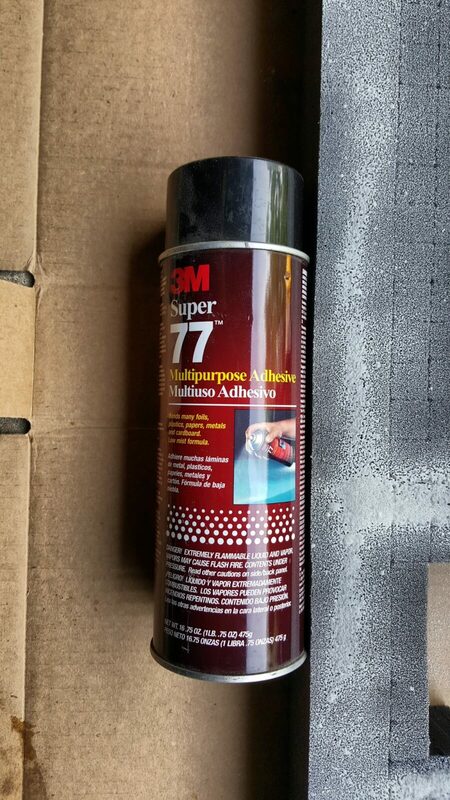 Note that I use 3M Super 77 Spray Adhesive. It was recommended to me years ago and I have used it ever since to bond case foams together. If you need to remove overspray, use mineral spirits, Goo Gone, turpentine, etc. before it dries. I wear nitrile gloves when spraying to avoid getting my hands sticky. Follow the recommendations on the can. You want to let the stuff get tacky then carefully reinsert the foam into the case. Watch the orientation!! Don’t put it in facing the wrong way. Also, don’t worry about adhesive getting in the wrong place – just clean it up as mentioned above. The stuff sets quickly but takes a while to cure. Let it dry overnight or longer if cooler. I can pretty much guarantee you will have some stick on your rifle, etc. If you do, it will come off with the aforementioned solvents plus stuff like penetrating oil, etc. I would not put oil on the foam so I didn’t mention it earlier. So that’s it. Now I bet you are wondering how it shoots. It’s very impressive and we’ll talk about that in the next post. 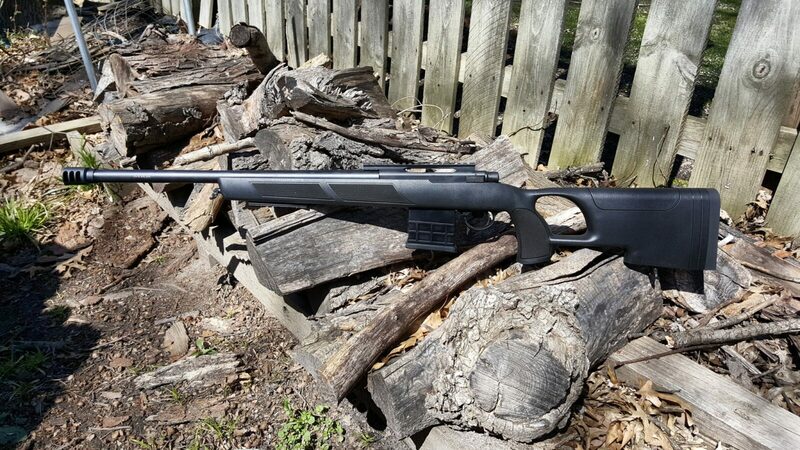 This is the second post in the series about the .308 caliber Sabatti Urban Sniper. 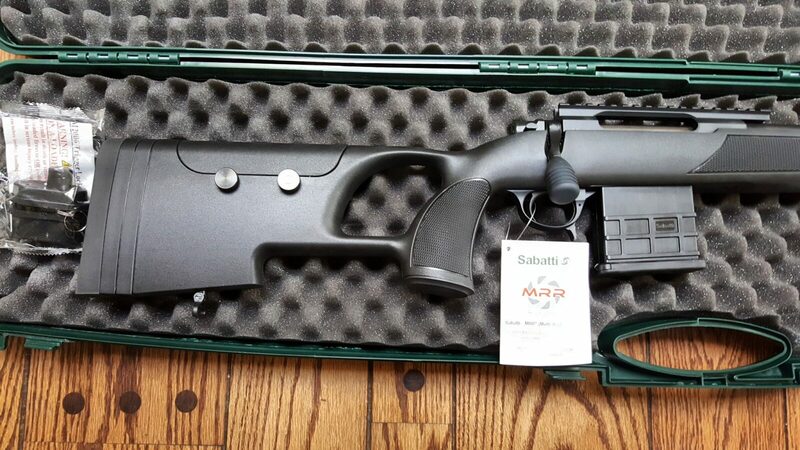 In the first post, I provided a bit of history about Sabatti and the Italian Firearms Group (IFG) plus why I was intrigued by the rifle and its claim of sub-MOA accuracy with the Multi Radial Rifling (MRR). 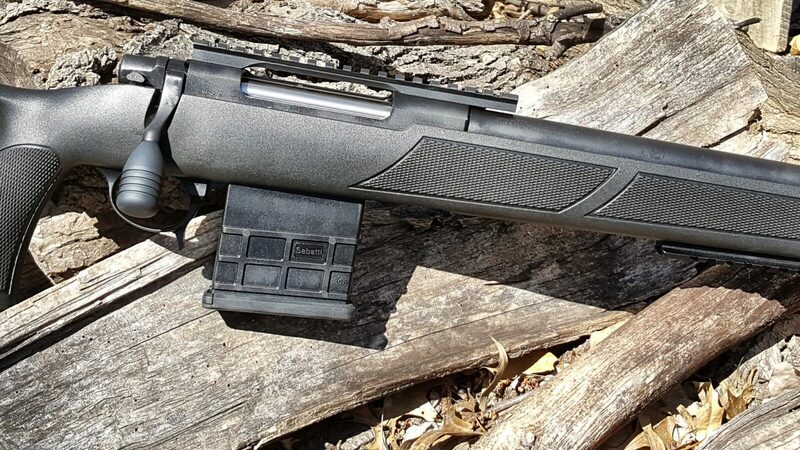 In this post I am going to pick up with the rifle being delivered to my FFL, Scott Igert of Modern Antique Firearms. The rifle was quite striking. I immediately liked the heft, balance and features. It’s 41-3/4″ including the removable brake. Weight of the empty rifle is about 8-3/4 pounds. 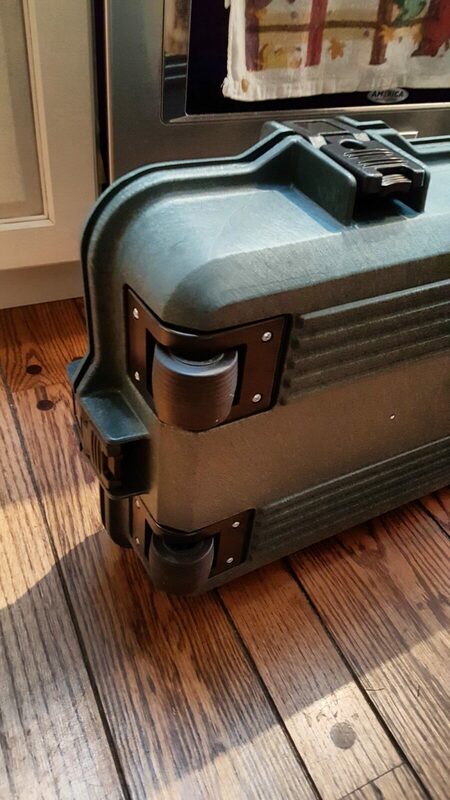 It comes with the green hardcase with eggshell style foam interior that you see in the photos. Note it is really just for shipping as there isn’t room for an optic. Not a big deal but worth noting. 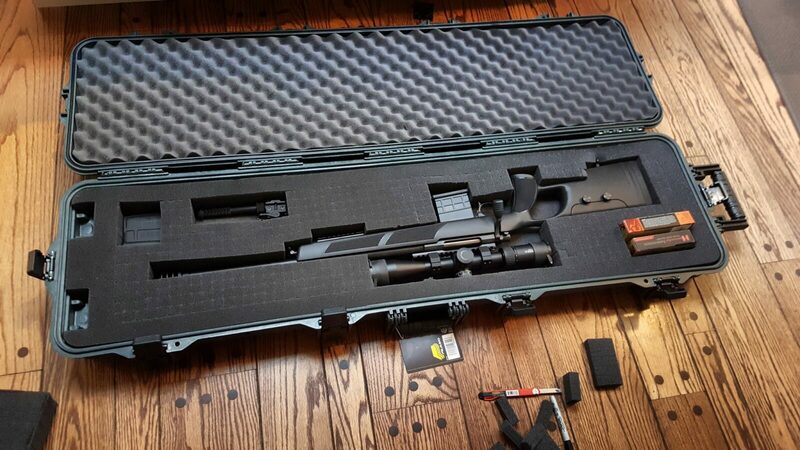 I think most guys will want to get a better case anyways – I always make a case for my precision rifles to protect them and their optics better plus carry whatever accessories I want securely. 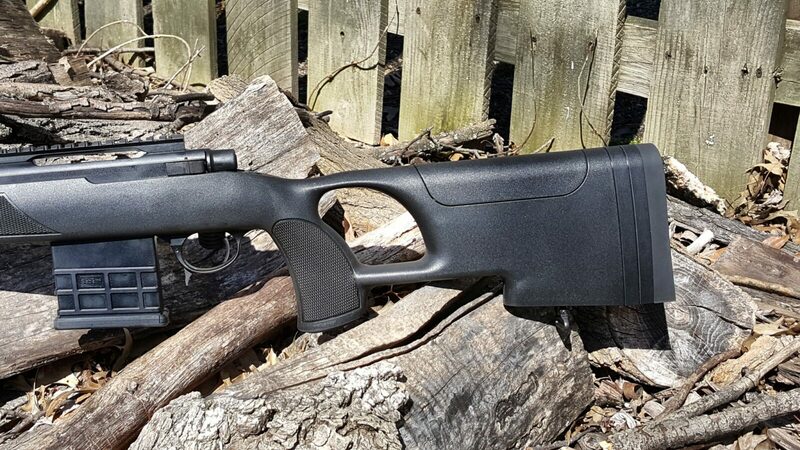 The glass reinforced nylon stock caught my eye right away. 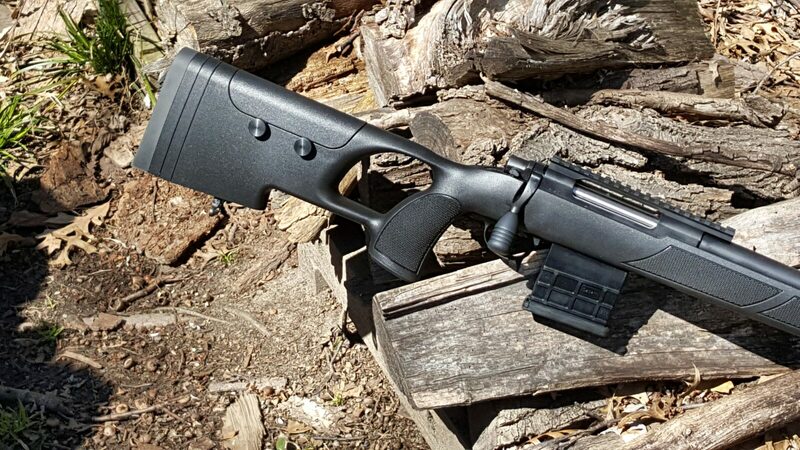 I like polymer stocks and this is very well executed. There is a nice recoil pad and then two half-inch spacers that you can remove if so desired. The cheek piece allows for tall scopes. I found that I did not need to adjust it. I would recommend applying Vibra-Tite 213 VC-3 to these so they don’t shoot loose under recoil (Vibra-Tite stays flexible/gummy so it can be reused vs. many thread lockers being one time use). Back to the stock, there is a comfortable hook for the supporting hand and the pistol grip is quite comfortable for me. Note, I wear XL sized gloves. Someone with small hands might find it too big. My bet is that if you wear at least a medium glove you will be ok.
On top, the rifle comes with a Picatinny optics rail, which is great. The bolt has an oversize screw on knob. The trigger is crisp with very little travel. I used a Lyman digital trigger gauge and 15 consecutive pulls and it averaged about 3-1/8 pounds. The bolt release is on the other side and is a small lever you actuate to remove the bolt. The magazine is an AICS pattern and a 10 round unit comes with the rifle. The magazine release is on the front of the trigger guard. I found it a bit awkward at first but got used to it. You’ll note the lower Picatinny rail at the front ready for a bipod. As you can see, it has a short thick bull barrel — it is 20.47″ (510mm) long and measures .86″ (22mm) at the muzzle. 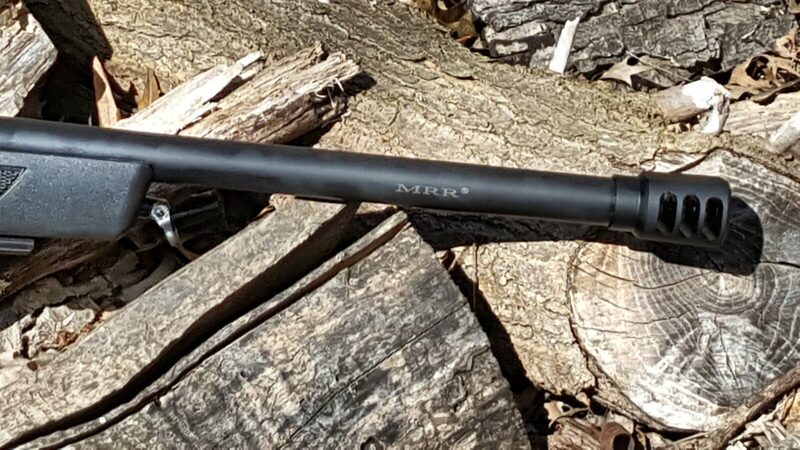 It has 1:11.5 twist rate and you can just make out the “MRR” logo for Multi Radial Rifling on the barrel. I immediately had high expectations of it! The barrel is threaded 5/8″-24 and comes with a muzzle nut protector you can install if you would rather not have the brake. 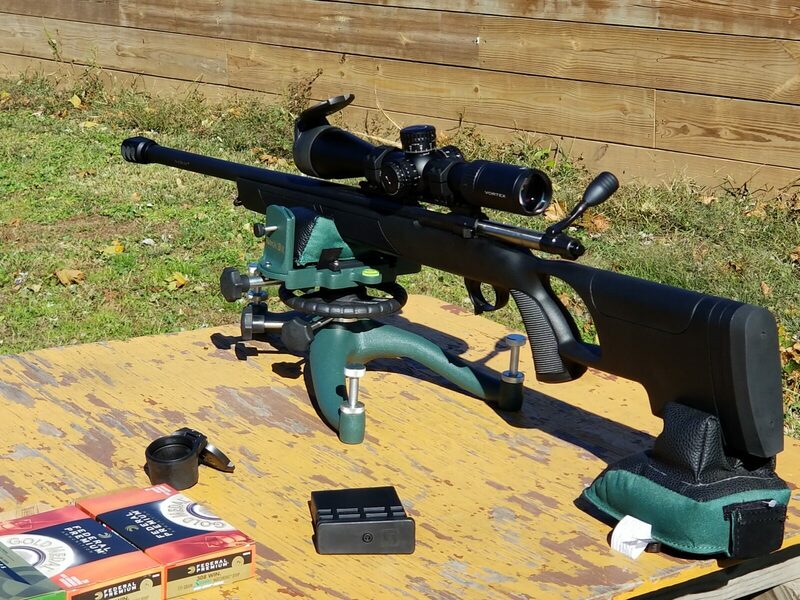 Let me jump ahead a bit, the weight and the brake really do a great job of controlling the .308’s recoil. Last comment, note the front swing swivel that is out of the way of the rail. I thought that was a nice touch. I was very impressed to say the least. 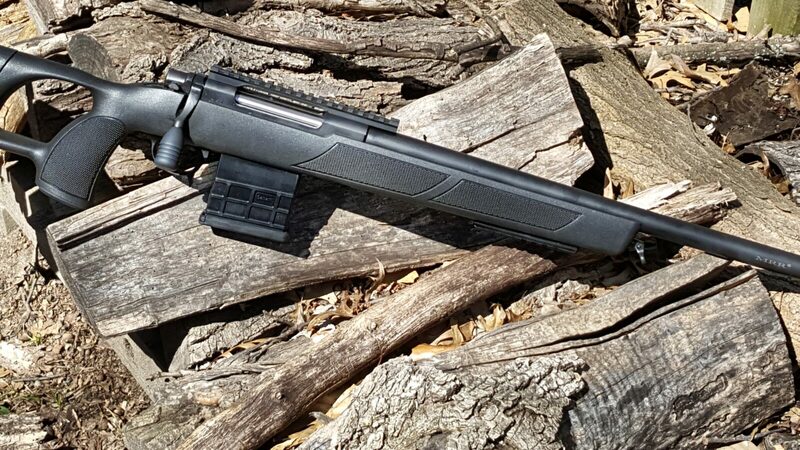 This rifle can be found on Gun Broker and other websites for under $1,200 and has an impressive list of features for the price. 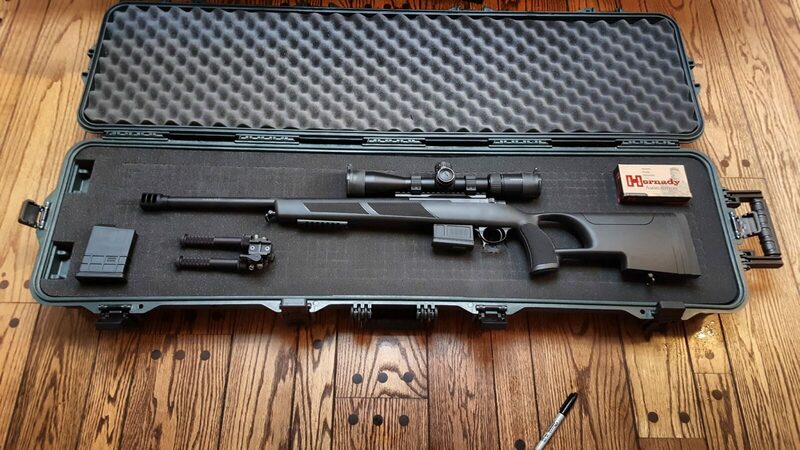 The rifle needed a scope and I had a brand new Vortex PST Gen II all lined up for it and a Plano hard case. I’ll cover them in my next blog post.